Do all the recent incidents, crimes, and terrorism that has occurred in the last 10 years, I've become more and more driven to start packing an AR15 with me in my truck when we're traveling around town and across country. All too often, we have seen scenarios unfold where people are outgunned by a vicious madman with no regard for human life. In many of these situations a handgun is simply not enough from a defensive perspective. If you read any of the books like One Second After you also see that if a crisis does occur, you may be put in a situation where your left to defend yourself with whatever you actually you have available to you as your truck rolls gently to a stop after an EMP attack. I find myself asking wouldn't a better situation be that I had an AR-15 with me if needed with plenty of ammo. Another more realistic situation is that I often find myself with a few hours here and there during work day ever so close to my gun range which provides an opportunity to let off a little steam and swing by the range. Obviously in that opportunistic situation, it's nice to have an AR with me do a little target practice during the day. At the range a gun case works, however walking into the Marriott or pulling your AR15 out of the truck while you hand your key over for an oil change and a gun case draws the wrong type of attention. Whatever your reasons might be to carry an AR15, it's nice to be able to carry one in a more clandestine way beyond a obvious rifle bag. The 5.11 Tactical Overwatch Bag was specifically designed to accommodate AR15 rifles with a full featured shooting mat. 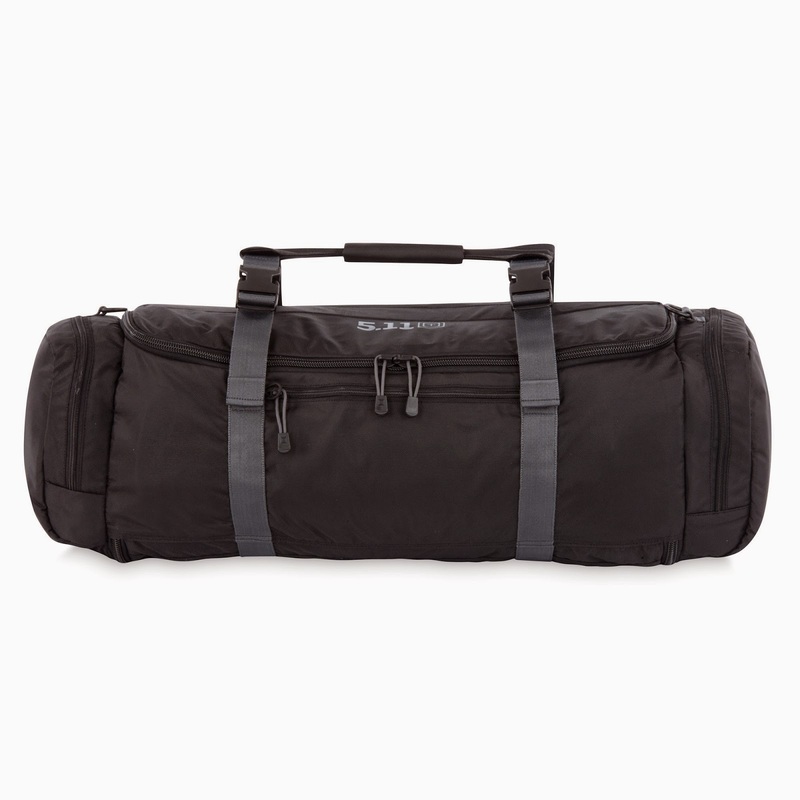 Along with providing typical duty as a duffle and suit bag with ample space and features to support carrying your suit or several days of clothes, the internals of the bag unfold to deliver a shooting mat style base. The Overwatch is large enough to hold a Short Barreled AR15 or AR15 with the upper unpinned from the lower with barrels as long as 20 inches. Astoundingly, I was able to fit a YHM 20 inch barrel upper in the bag with the complete lower. Obviously standard 16 inch barreled uppers with muzzle flash hiders attached fit easily in the bag. My American Spirit Arms side charger upper with the 16 inch bull barrel and target crown has plenty of room inside the Overwatch. 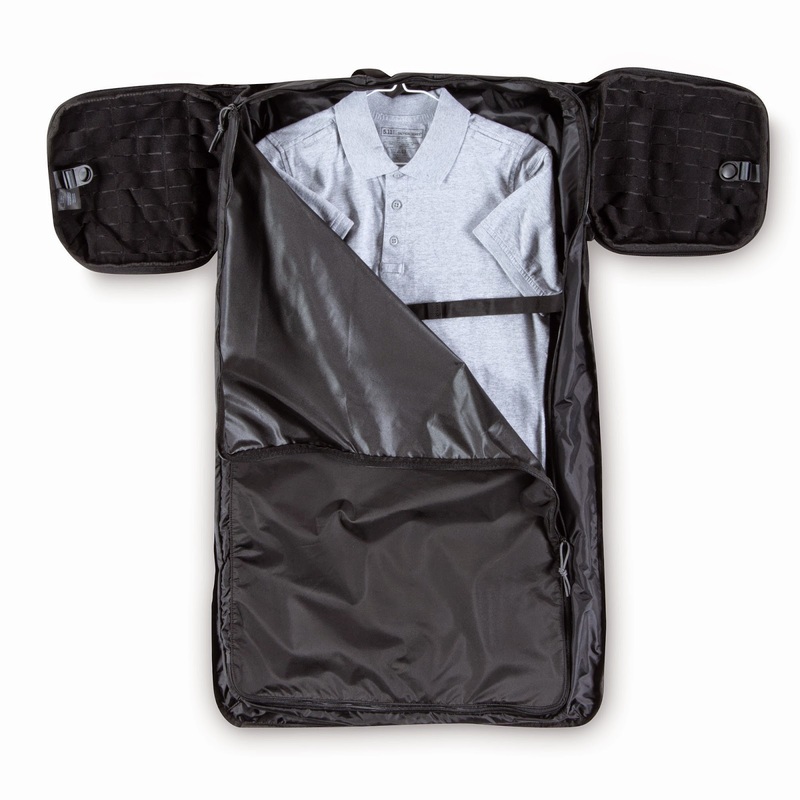 The Overwatch duffle is designed to look like a high quality standard sports duffle bag. 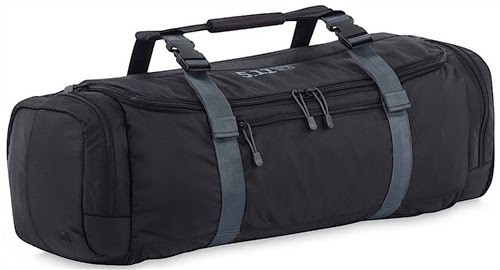 With exception to that of the bright white and rather large 511 logo on top of the bag no one would ever gas if there's anything tactical covert or defensive about the duffle. On each end are standard duffle bag style zipper pouches which can hold a large variety and quantity of clothes or tactical gear. Inside the main compartment you'll find a large open interior however as that compartment is unzipped the outside of that flap reveals a suit bag storage compartment perfect for storing a suit or other uniform this can be enrolled and open to form a really nice shooting mat for the shooter all without you getting your clothes or tux hidden in the suit compartment dirty while laying out prone in the dirt taking shots. The nice feature I liked most was that if you pack most of your clothes in the end zipper pockets or in the suit compartment, you don’t need to unpack to use the Overwatch unzipped in shooting mat configuration. All around this is a great bag which offers shooters a great covert option to carry an AR with the Upper and lower unpinned.